Buddy has been the only K-9 unit police dog in Delta county for the past 7 years. He was recently diagnosed with Pannus, a condition that has made him lose his vision. He is almost completely blind now. He served longer than the average for police dogs, and was a huge asset to the department. He was also a community ambassador, visiting the elementary school and being present at local events. 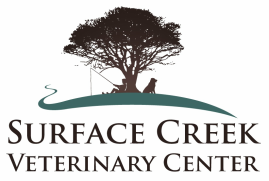 The Cedaredge Police Department is now asking for the public's help to raise money for a replacement dog. These highly trained dogs come with a hefty price tag, and our small department is unable to afford one on their own. Trained police dogs cost at least $14,000 dollars, and this is where you come in. Please donate if you can to help our community and county be a safer place for everyone. 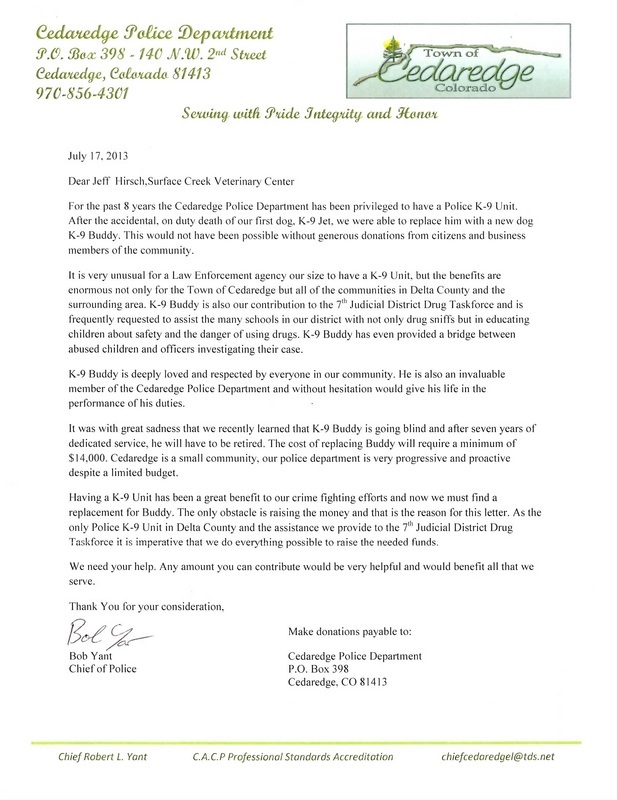 To read Police Chief Bob Yant's letter about Buddy, see below.